Hi, Louise! I love this!!! I don’t crochet, but your ideas could apply to any creative endeavor. I’m saving it for sure, for that inevitable mental block when my own ‘craftojo’ runs low. Thanks for sharing on craft schooling sunday! Great tips! It is true sometimes not knowing what to make keeps one from making, and those fellow crocheters that actually make lists of things they want to make never have to worry about this! Can’t say i’ve ever done this and generally buy the yarn and then figure out what to make with it, which can lead to problems of either too much yarn or not enough! Live, learn and keep crocheting! I’ve added you post to The Really Crafty Link Party Pinterest board, hopefully it will help others finding their crojo too! 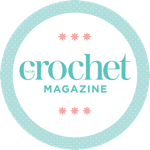 I can’t crochet but I do sometimes lose my crafting mojo and it can be so difficult to pick it up again, but you’ve given me some great ideas to rekindle it.